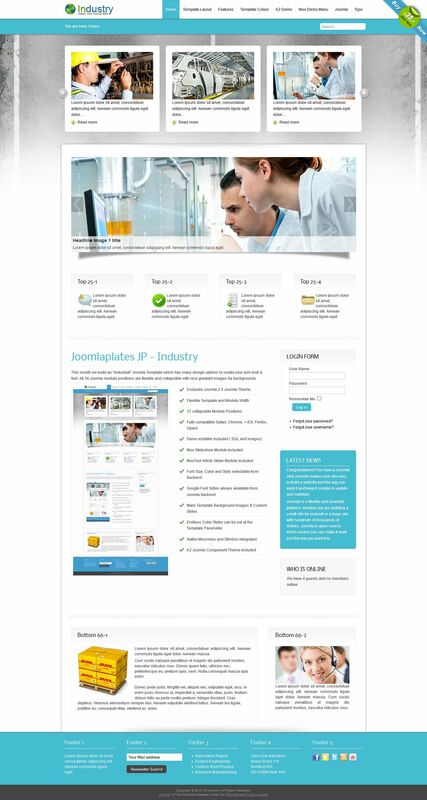 JP Industry is a stylish template for CMS Joomla 2.5, it is represented by the design studio Joomlaplates. It presents even more design options, there are opportunities to change the background image. His color design, color, and font size. All this can be done through a special template manager. Its modular design in itself contains 36 products. They allow you to visually place elements on your website. There is built-in support for popular content management and K2 for the menu template Moomenu give a special functionality. The composition of its assembly may include corporate names rotator MooTool Article Slider. That provides a display of relevant materials that appear on the top of the site.